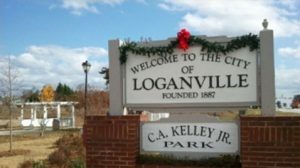 Dealing with water damage in your Loganville property can be difficult. No matter how prepared you may be, there will always be hidden instances of damage that could threaten your property. In the most extreme instances, the damage may be structural, resulting in long-term problems that you will need to address as soon as possible to avoid bigger problems later. To avoid such damage, you need to work with a Loganville Water Removal Service that you can count on. A flood or other major spillage disaster, you need to know that you are covered. Our experts for water damage repair in Loganville will arrive equipped with industry-leading drying equipment to remove all of the water from your home and restore order to your property. Not only do we get rid of the excess water but we can also take care of flood damage debris left behind on your property. Depending on the extent of the damage, we may even perform a more thorough cleaning to make sure that you do not have to deal with any surprises in the future. Once all of the major instances of water damage repairs have been handled, our Loganville specialists make sure that there is no residual damage left behind. We use state-of-the-art moisture testing equipment to find hidden sections of water damage. Along with the advanced moisture detecting and drying equipment, our specialists are always quick to catch mold growth before it has the chance to spiral out of control. For additional peace of mind, you can always ask the experts for their credentials as well, and they will be more than happy to provide you with their insurance documentation and other certifications. In the event of a sewage back-up, your SerClean professionals in Loganville are always ready to respond to an emergency situation. Nobody likes to deal with sewage issues, and the professionals know just how frustrating it can be when you’re stuck in such a situation. No matter whether the problem occurs at your home, at your place of business or at your school, they take great care in making sure that all of the damage is removed to prevent potential bacterial growth and other long-term issues from taking root.